Okay, guys. I have a super fun story to tell you today. It's how God gave me a good friend. I will start by saying that I am so so grateful for the friends I have. When you strive to live a life for Christ and strive to share Him with others, having a good group of likeminded friends who you can cheer on and can cheer you on is an incredible gift. I truly believe each friendship is a gift, however, how I met the friend I'm going to tell you about today is really interesting. Remember when I lived in Korea in 2012? While I lived there I attended a small (but amazing) international church. One of the girls I met there who became my friend was, Amanda, from Living in Another Language. I know some of you have read her blog and are familiar with her. Amanda started doing design work and she is also the one who designed my blog. Whenever she finished a new blog design she would share it on social media. One day she happened to share a new design for Life's a Journee, written by Elicia. By this time it was around 2013 when I had moved back to America. 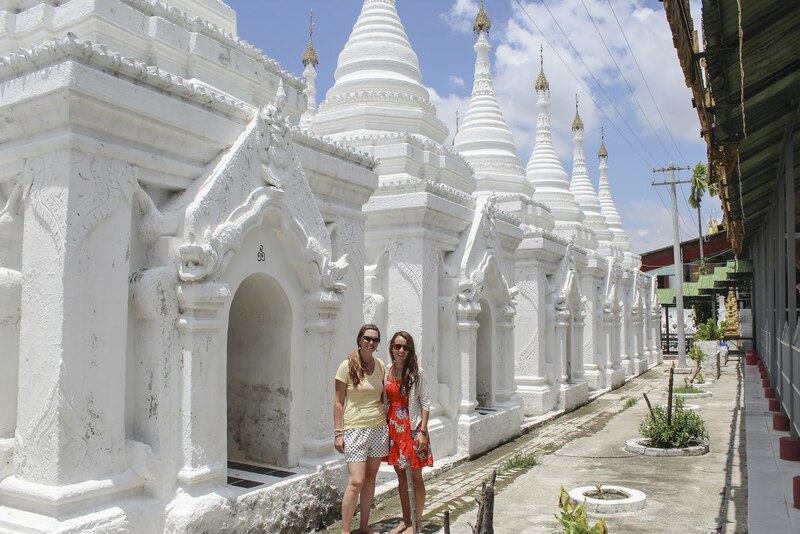 Tom and Elicia came to Burma in May of 2015. 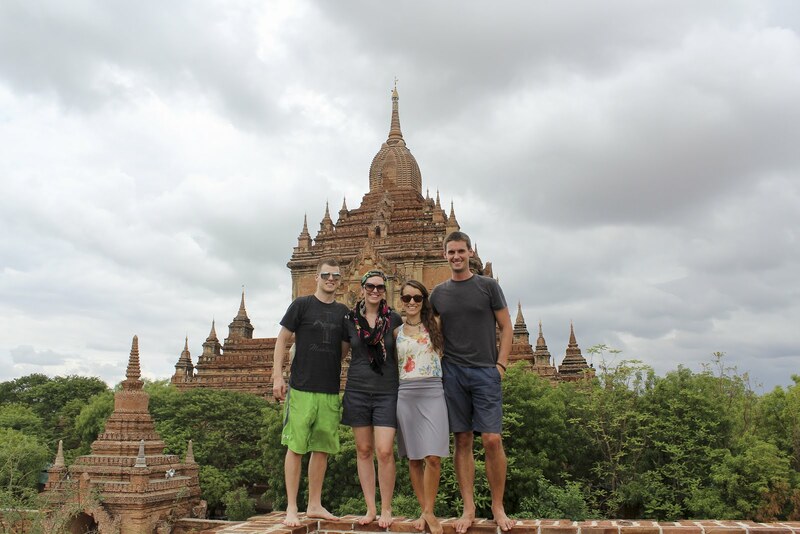 We were on summer break at that time and were able to show them around lots of the sights in Yangon. They then went to Inle Lake on their own and we met them up in Bagan and toured with them there as well as in Mandalay. 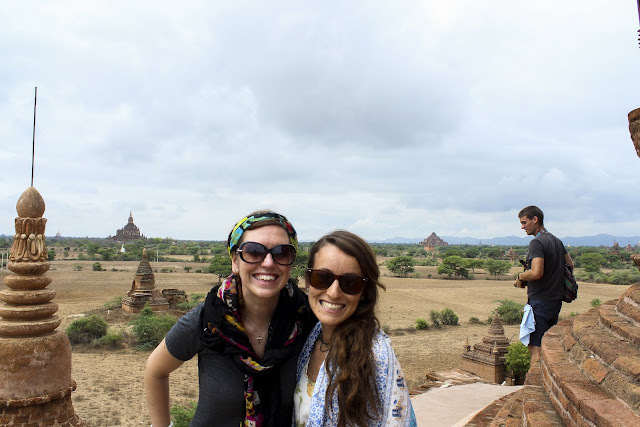 I will tell you that April and May in Burma were two super hard months for me. We were halfway through the year and I was struggling. I mean, when Alisha left in April I cried that whole entire night after she left. It was awful. But I'm telling you what, God knew that in May, even though I had never met Elicia, that I needed a visit from her. It was so so encouraging for Dave and I to have another Christian couple our age to just talk life with. It was also nice because Tom and Dave hit it off pretty well so it wasn't weird for them to hang out while their wives chatted away for hours. I will also tell you that Tom and Elicia grew up in a completely different denomination than I did, not that that is bad but I've heard various things about that denomination's doctrine. So the first morning Tom and Elicia got in I did indeed ask what they believed about the doctrine of salvation. ha! That's always a nice way to welcome someone, right? And they believe salvation through Jesus alone, just like we do, but I just had to make sure. Mandalay - where the monks kept asking, "Photo? Photo?" They also got the royal treatment. And I do mean Burmese treatment. At a temple in Bagan, we had someone throw flowers at our backs because we wouldn't purchase the flowers to offer to Buddha. That was a weird incident. Elicia ran over a snake when her and I took these little scooters around. Then, far away from our hotel, my scooter died, so her and I were on her tiny scooter, and I do mean tiny, trying to get help. It was hilarious! We also saw a horrible dog fight. We saw a dead man by a lake (long story but he was green and it scarred us). Then after we finished our time at the lake and we were pondering the dead man our taxi driver ran over a dog. And if you saw me laughing right now after writing this paragraph you would think something was terribly wrong with me. But it was all just so shocking so it was either be scarred for life or laugh. And we can't forget that Tom and Elicia came into Myanmar with no US cash and just their credit cards and literally, no ATM's work in Burma. I think Tom tried probably 50 ATM's. We just loaned them cash and they had to Paypal us when they got back to America. Now, Elicia and I stay in touch using Voxer and we vox all the time. Just ask our husbands who loathe the voxing beep. ;) Tom and Elicia also came to visit us in Kansas this July on their summer break. It was so fun! Tom and Elicia are now living in Morocco and guess what? Morocco and Myanmar are so so similar. When we vox we often say it is a "M country similarity". Elicia has told me multiple times how she feels that God sent her to Myanmar to prepare her heart for Morocco. And I just have to say God is so awesome! He knew I needed encouragement in Myanmar and He knew Elicia would need preparation for Morocco. I think it's neat too because I can encourage her while she is there and can understand some of what she is going through. So, all that to say, God knows exactly what He is doing. He brings people into our lives through the most interesting ways but He brings just who we need and exactly when we need them. I hope today that wherever you are in life you will make room for godly friendships to be part of your life. God uses people to encourage you to share the gospel, to encourage you in daily and to just have a friend. It's worth the time and effort and is a really huge blessing. Tom put this video together of their time in Myanmar and I think it is not only fun but a good insight into Myanmar culture. I really liked reading her blog in the past! It's very cool the connections blogging can make!